Family camping trips are a great way to spend quality time together and make memories that you and your children will never forget. For a successful family camping adventure, it can just be a matter of finding the right RV that’s comfortable for everyone. 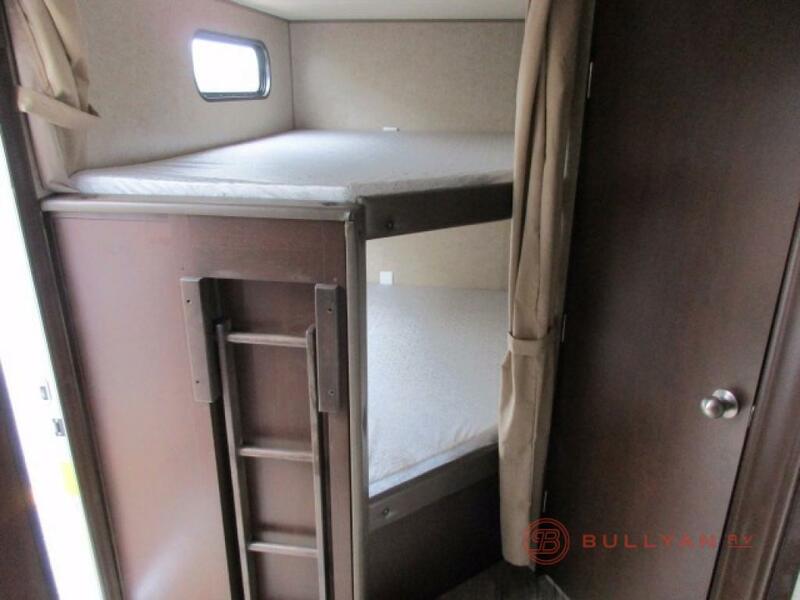 For an affordable, family friendly travel trailer with some very unique features, check out the Cherokee Grey Wolf 26CKSE Bunkhouse Travel Trailer. 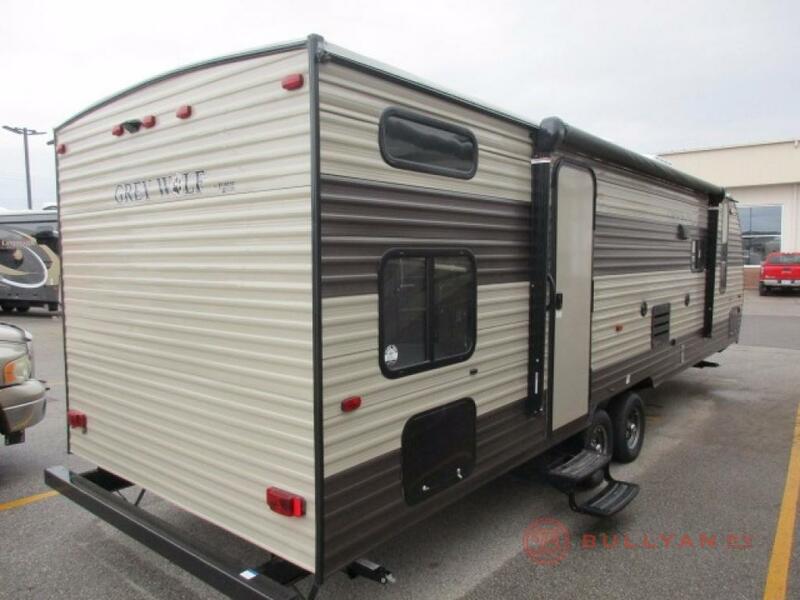 The Grey Wolf 26CKSE for sale at Bullyan RV packs plenty of amenities in a midsize travel trailer so you and your family can enjoy your trip comfortably. Here we’ll take a look at what makes this Grey Wolf RV floorplan so special. The Cherokee Grey Wolf 26CKSE sleeps up to 9 happy campers comfortably. 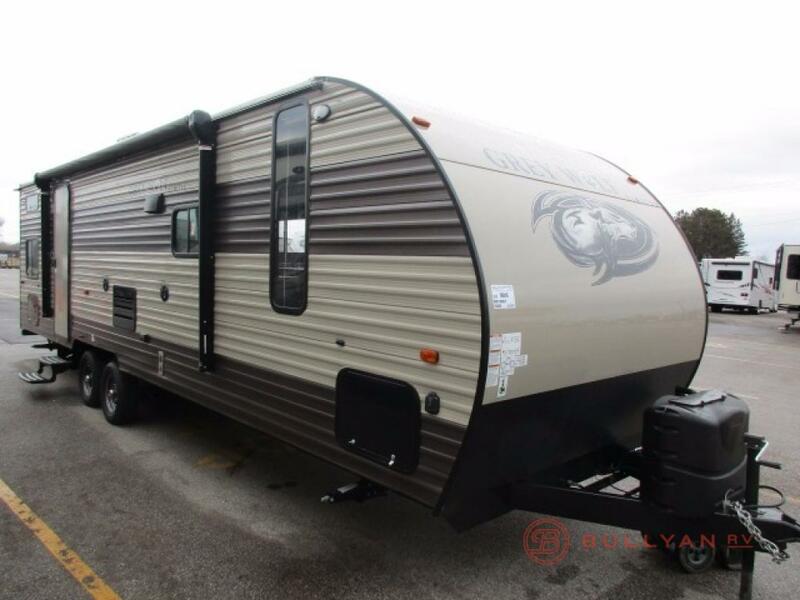 At only 26 feet long, this RV layout offers plenty of sleeping space in an easy to tow trailer size. One of the coolest features of the Grey Wolf 26CKSE is the huge walk in pantry located next to the well equipped kitchen. Bring all your favorites goodies and extra provisions along for the trip. No more having to go grocery shopping during your vacation. Spend more time having fun instead! This unique jack knife sofa/bed makes great use of your interior space. This well padded sofa also has a fold down arm rest with cup holders and a shelf behind for an extra spot to set items like phones or game pieces. The booth dinette and jack knife sofa are both located in the large slide out room across from the kitchen. This large single slide out room frees up extra space in the center of the coach for a more open and welcoming living area. The extra large windows let in plenty of natural light. The entrance and exit of the Cherokee Grey Wolf 26CKSE is strategically located in the rear of the camper directly across from the bathroom. By having the entrance close to the bathroom, you greatly reduce the amount of dirt that gets tracked in throughout the day. 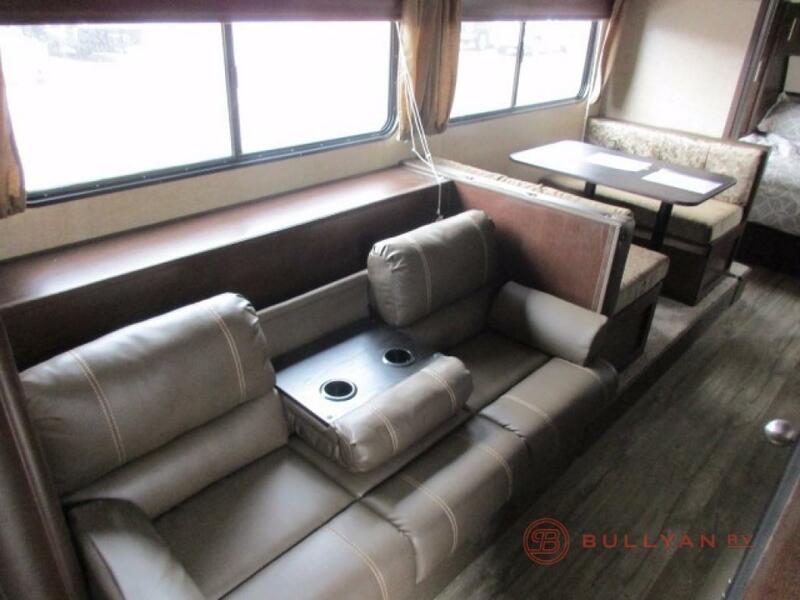 To see the Cherokee Grey Wolf 26CKSE in person, Contact Us at Bullyan RV for a walk-through tour. Be sure to bring the kids so they can share in the fun of picking out a new camper!